Schools use different management and communication systems from various vendors. The school website and the student information system might all be from different vendors. The school members have to contend with having multiple URLs and passwords which can be difficult to keep track of. The Cyber School Manager allows for the seamless integration of the school information system into the school website. This provides a single repository and URL for all the institution information and content. The users are provided with unique passwords for logins to view content. The Cyber School Manager CSM is an integrated School Management Software for educational institutions consisting of various modules including Admission, Attendance, Exam Manager, Accounting and Finance, Parent-Student Login Manager, School-Teacher Login Manager, Fees/Payment, Library, SMS & Email, Hostel Manager and Transport Manager. These modules make management of school easy and efficient. 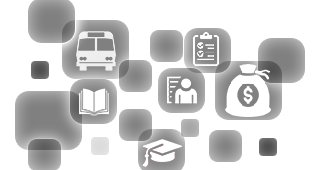 The CSM can be used to manage multiple schools from one application a great option for the group of schools. It provides a comprehensive database of staff, students and parents for school administration and teachers to access with ease. The modules are easily integrated into your school website automating various academic processes. The login functionality provides access to teachers, students and parents. Find out more about how to integrate the Cyber School Manager with your school website today!